This Contract is between You, the person requesting transportation services and us, Smart Send. 1.1 This Contract states the terms on which we will supply services to you. In this Contract, you are our customer, i.e. that person engaging our services. 1.2 We are not a common carrier and will be engaging third party carriers to carry your goods. They may refuse to handle, transport or store goods for you for any reason whatsoever and if they do you agree we will not be liable to you in any way whatsoever. 1.3 The terms of this Contract cannot be waived or varied except by written agreement between the parties. c) any packaging, pallets or containers we pick up with those goods. 1.5 By services we mean all services supplied to you in any capacity, including as forwarding agent, shipping agent, forwarder, storer, carrier or bailee. a) We may subcontract part or all of our obligations on any terms. b) Any third party subcontractor engaged by us may in turn subcontract part or all of their obligations on any terms. b) we hold that benefit on trust for them and can, if requested by them, enforce it on their behalf. 2.1 Our charges are based on the greater of the actual weight or volume of the goods. For the purposes of calculating weight we round up to the next whole kilogram. 2.2 You must pre-pay the charges relating to the transport of the goods. b) any storage charges or other charges or expenses we incur in relation to the goods (these may include "Futile Booking" fees, Re-Delivery charges, Return to Sender charges, Waiting Times, Unloading Times, Change of Delivery Address, Redirection charges, Administration Fees and so forth). We have a right to recoup these costs from a payment source used to complete the booking on our site. 1) No-one is available to despatch the goods on the nominated pickup date and time, or 2) If the driver refuses pickup because the Smart Send consignment-label is not attached to the goods, or 3) If the driver refuses pickup because the goods are not packaged correctly to withstand transportation and there is a likelihood of damage occurring to the goods, or 4) If the sender will not release the goods to the driver on the nominated pickup date and time. 1) The first 10 minutes at pickup address and delivery address are included in the cost of your booking. If the driver has to wait for longer than 10 minutes because the goods aren't ready, packaged, labelled or other causes of delay due to no fault of his own you will be charged an additional $20 per 15 minutes waiting time. c) We will charge the oustanding amount to your credit card or Paypal account used to complete the booking; however if this is not possible you guarantee to pay any additional charges within seven (7) days of notification. Should you fail to pay these additional charges in full within 7 days of notification, you agree to pay an accounting surcharge of 20% of the gross value of the total overdue amount, together with interest at a rate equivalent to the Westpac Banking Corporation prime rate on the date, plus one (1) percent, to be calculated on a daily basis from the first date of the account becoming overdue until payment is made in full, or until Judgement, as the case may be. We reserve the right to use funds from future bookings as pay off to any outstanding amounts. 2.4 We are entitled to retain and be paid all commissions, allowances and remuneration paid including those customarily paid by or to forwarding agents, shipping agents, forwarders, storers, carriers or bailees. 2.5 Booking alterations or cancellations are permitted no later than 11.00am on the pickup date nominated in your booking. A 5% cancellation fee will apply for any cancellations. 2.6 Receipted Deliveries include delivery attempts to the delivery address in your booking only. Additional charges may be charged to you if we are asked to re-deliver to a different address other than the nominated delivery address in the booking. 2.7 Discounts offered: will apply to freight charges and Fuel Levy charges only. Discounts do not apply for Transport Assurance or GST amounts. 3.1 Your promises are important because if they are incorrect we may, for example, be fined for unlawfully transporting the goods. i) you will indemnify us for any loss or damages whatsoever caused to any person, including you as a result of your breach of this Contract. It is agreed that the indemnities in this paragraph will operate irrespective of whether any loss or damages arises from a willful, deliberate or unauthorized act or omission by us or by any of the persons referred to in paragraph 1.7. 4.1 Goods are “dangerous” if they are classified by either the IATA Dangerous Goods Regulations or the Australian Dangerous Goods Code or if they might injure or damage people, property or the environment. They include goods that are or may become poisonous, corrosive, volatile, explosive, toxic, flammable or radioactive. 4.2 You promise to tell us if the goods are dangerous. 4.3 You understand that we will not carry any class of dangerous goods. d) sell any goods held by us for outstanding payments by public auction or private sale without any notice to you. 6.2 We will not in any circumstance deliver goods to a post office box. Also, if goods are too heavy or large and a driver cannot safely pickup or deliver the goods on their own, the consignment must be dropped off or picked up from a local depot by the customer. Costs for this are to be borne by the customer. 7.1 A customs invoice must be completed for ALL countries outside Australia unless using a document only service (where weight is under 1.5kg). You will be guided online to complete this if applicable and a template will be e-mailed to you once the order is placed. Four copies of this invoice must be given to the driver on collection. We cannot deliver to a PO Box or Post Office for international deliveries. If a consignment has to be returned for this reason, no refund will be given and you will be charged for any return costs. Smart Send requires a telephone number for the receiver who may be called in the event of an address query. Please note for any overseas address a local number is needed, the carrier will not call an Australian number. Smart Send will not re ship any returned item if a local telephone number has not been provided and the carrier could not call to arrange delivery. 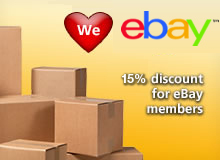 You are pre-paying for the transportation charges of your consignment only. 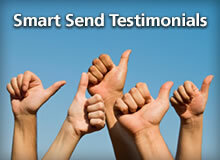 Smart Send has no control over any customs queries, delays or charges that may arise. The sender or receiver must also pay Customs charges/Duties before delivery is made to the receiver (you should discuss this with the receiver before a booking is completed on our site). 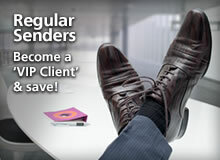 Smart Send reserves the right to pass these charges directly onto our customer. If charges are incurred and you do not wish to pay the Customs charges/Duties and the consignment is returned to you, all return charges will also be passed on to you. Documents up to 1.5kg do not need a commercial invoice to any destination. These should be declared as zero value. If a value is entered Smart Send cannot be held responsible for any charges that may apply. Consignment/s that exceed the value of $5,000 may be delayed as they may require further documentation for clearance. 8.1 You are entirely responsible for insuring the goods we transport. 8.2 If you fail to insure such goods we are not to be held liable to you in any way under the Contract. 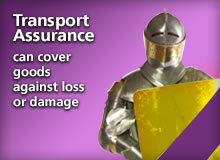 8.3 Transport Assurance can be purchased (via the Quick Quote section on our site) for loss or damage to goods in transit. Certain goods are excluded, read the Transport Assurance Conditions and Prohibited/Restricted Items for further details. 9.1 Services are supplied at your risk. You always bear all risk of loss or damage arising in connection with the goods at any time under this Contract. 9.2 Guaranteed transit times are not offered. No service includes a Guarantee and the transit times quoted on our site are issued as a guide only. 9.3 We and the persons referred to in paragraph 1.7 are not liable for any delay, loss or damage arising from the supply of or failure to supply services (including loss of, deterioration in, mis-delivery of, or failure to deliver, goods), for any reason whatsoever including breach of Contract, negligence, breach of duty as bailee, or our willful act or default. In the event there is any liability then, such claim must be made within seven (7) days of delivery and it is agreed that any such liability shall be limited to the price paid for the services rendered, and no other damages, monies payable and/or claims shall be paid. 9.4 Clause 9.1 and 9.3 also apply in respect of claims for any loss or damage including without limitation indirect, incidental, special or consequential damage and damage for loss of profits caused to you under this Contract. 9.5 We reserve the right to refuse transportation of any goods (particularly if goods are not packaged appropriately or are not compatible). If you make a booking and we deem during the act of transportation that the packaging is poor and damage may occur to the goods, or the goods are incompatible with our system; the goods will either be held at the nearest transport depot for collection by you or they may be returned to you; and you will forfeit the cost of the booking charges paid for our services. These conditions are governed and must be construed under the laws of the State of Queensland and the parties submit to the exclusive jurisdiction of the courts of that State.